- In 7 Days to Die, you can increase Wellness, even if it is at 100, you can achieve a level of 200 bar. - The Wellness may also decrease if you die, take wrong food or suffer a significant period of hunger and thirst. - Perish, your Wellness is reduced by 10 points. Perish you often, Wellness could drop to 70. This value is not definitive because other circumstances (famine, etc. ), may fall this number even lower. Then again, the Wellness is automatically increased again 70. 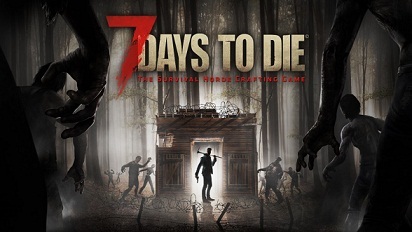 At the beginning of 7 Days to Die, it will difficult to increase the Wellness. Since you will only be busy again to keep it at all on 100. Read our Guide 7 Days to Die - Tips: Guide to survive in order to facilitate you the beginning of the adventure. Don’t let attack of zombies and use all your weapons, you should come to blow, because death is to be avoided. In addition, your Wellness will decline when you get too many hit from zombies. You can also increase wellness by taking certain medicine. You have to get a campfire building and on preparing the food listed in the table, because that can increase your wellness in 7 Days to Die. Jar of honey +0.4 •Can only be acquired by looting. Below you will find a list of food that will reduce your wellness, so makes sure to avoid them.